Apart from them there exist several other bodies. The Treaty on European Union in Article 13 lists seven institutions of the European Union. 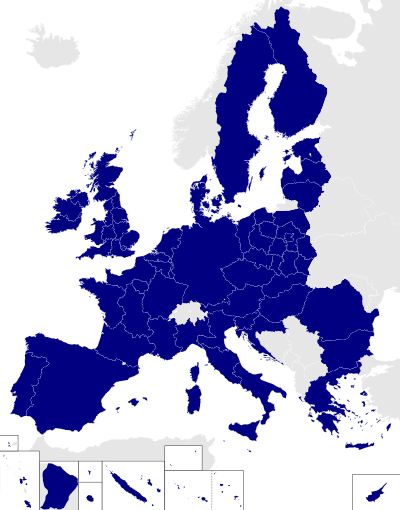 There are a number of specialised and decentralised agencies of the European Union operated by the Commission, or sometimes the Council. They are set up by legislation or a treaty to deal with specific problems or areas. These include the European Environment Agency and Europol. There are a number of other bodies and agencies of note that are not formal institutions. There are two consultative committees to the EU institutions: the Economic and Social Committee (EESC) advises on economic and social policy (principally relations between workers and employers) being made up of representatives of various industries and work sectors. Its 344 members (with an additional nine members joining following the accession of Croatia to the EU), appointed by the Council for four-year terms, are organised into three fairly equal groups representing employers, employees and other various interests; while the Committee of the Regions (CoR) is composed of representative of regional and local authorities who hold an electoral mandate. It advises on regional issues. It has 344 members, organised in political groups, appointed every four years by the Council. The European Investment Bank is the European Union's long-term lending institution. The EIB supports the EU’s priority objectives, especially boosting sustainable growth and job creation. There are also three inter-institutional bodies: the Publications Office, the oldest one, which publishes and distributes official publications from the European Union bodies; and the two relatively new: the European Personnel Selection Office (EPSO), a recruitment body which organises competitions for posts within Union institutions; and the European Administrative School, which provides specific training for the staff of Union institutions. Another body is the anti-fraud office OLAF whose mission is to protect the financial interests of the European Union. Two further posts are: the European Ombudsman deals with citizens grievances against the Union's institutions and is elected for five-year terms by the Parliament; the European Data Protection Supervisor ensures the institutions respect citizens' privacy rights in relation to data processing. ↑ "Agencies of the EU". Europa (web portal). Retrieved 2 August 2007. ↑ "The European Economic and Social Committee". Europa (web portal). Archived from the original on 25 June 2007. Retrieved 2 August 2007. ↑ "Presentation / Role". Europa (web portal). Archived from the original on 9 June 2007. Retrieved 2 August 2007. ↑ "About the EIB". European Investment Bank. Retrieved 2 August 2007. ↑ "Activities". Europa (web portal). Retrieved 2 August 2007. ↑ "European Personnel Selection Office". Europa (web portal). Retrieved 2 August 2007. ↑ "Welcome to the eas". Europa (web portal). Retrieved 2 August 2007. ↑ "OLAF". Europa (web portal). Retrieved 2 August 2007. ↑ "At a glance". Europa (web portal). Retrieved 2 August 2007. ↑ "Welcome to the home page of the European Data Protection Supervisor". Europa (web portal). Archived from the original on 9 July 2007. Retrieved 2 August 2007.